This is a tribute to one of Hip-Hop's Greatest, the legendary Notorious B.I.G. aka Biggie Smalls. Christopher Wallace's death was 20 years ago but his music still lives. Even today his songs still gets people moving! I had created a Biggie mixtape a few years ago and its a bit more gritty than this one but I wanted to give more of an updated mixtape for the radio. 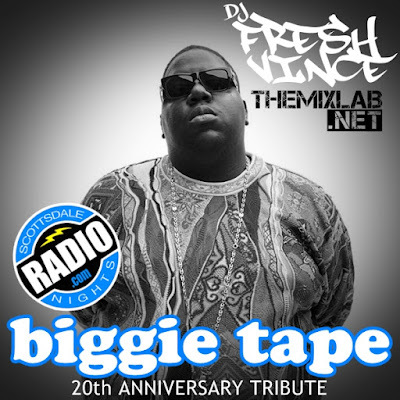 Enjoy this mixtape in honor of Biggie Smalls! Rest In Peace BIG!